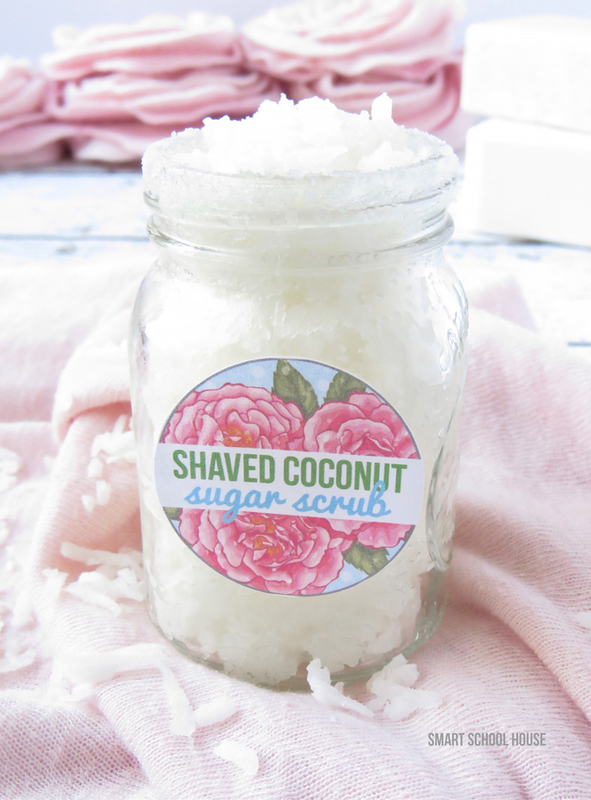 Do you love the smell of vanilla and coconut combined? Something about those two smells makes me think of a tropical paradise, a day on the beach, my toes in the sand, and a mai tai in my hand. Alright, that’s a little dramatic considering that we’re right smack dab in the middle of winter, but a girl can dream, right? 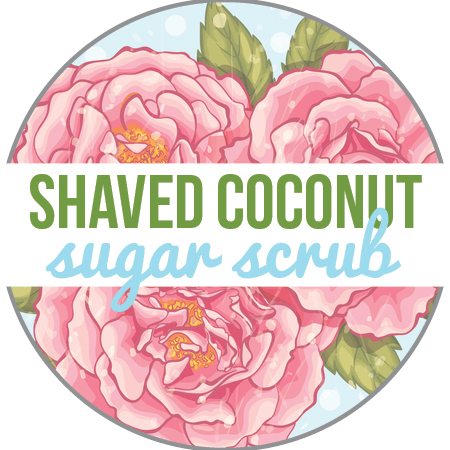 This shaved coconut sugar scrub is perfect for anytime of the year….. for after the beach on a summer day or in the morning of a chilly day when your skin is feeling dry and sad. The smell will brighten your spirits while the ingredients will moisturize and exfoliate your skin. Pure pampering! Here is one very important thing to keep in mind while you’re mixing your ingredients: The temperature of the environment you’re in will impact the consistency of the coconut oil. If it’s a gorgeous, warm, sunny day, then the coconut oil will have a thinner, oilier consistency. However, if you’re making this on a cold and wintery day, the coconut oil will be in a more solid state. Makes sense, right? 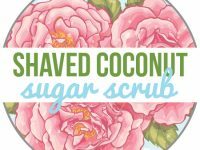 The greatest part is that you can’t mess this sugar scrub up! Start with 4 tablespoons of coconut oil. If your sugar scrub feels too dry, warm the bowl up for 5 or so seconds in the microwave (careful, it heats up fast!!). The tiniest bit of warmth will smooth out the consistency of the coconut oil. If you don’t want to warm it up, simply add more of the coconut oil! 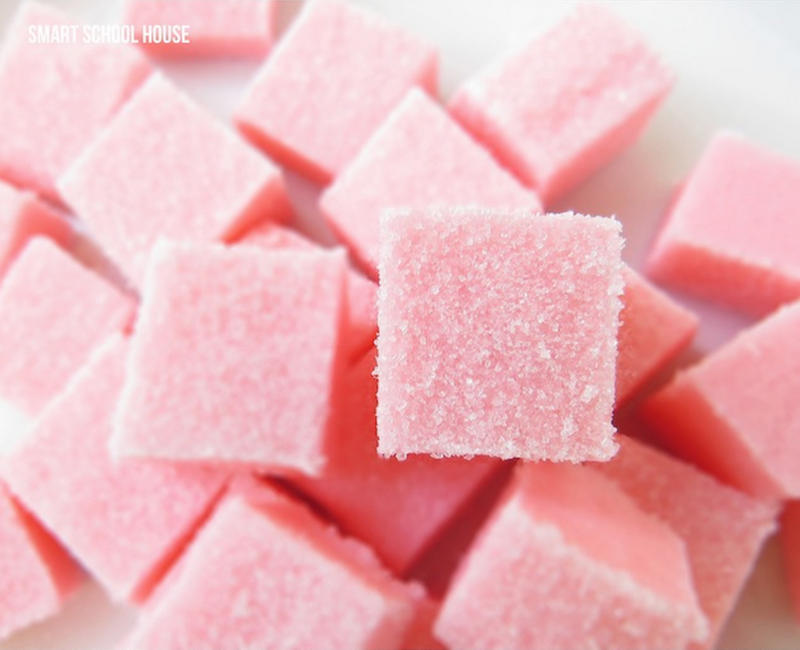 It will work just the same:) If you accidentally made it too runny, have no fear- add in a little more sugar and then throw in an extra dash of shaved coconut while your at it. Store it in a jar with a lid and use it daily. Your skin will love you! Coconut oil hydrates, soothes, and even helps heal dry skin. Jojoba oil also moisturizes, but it helps seal the moisture into your skin so you’ll feel super soft even after it’s all washed off. 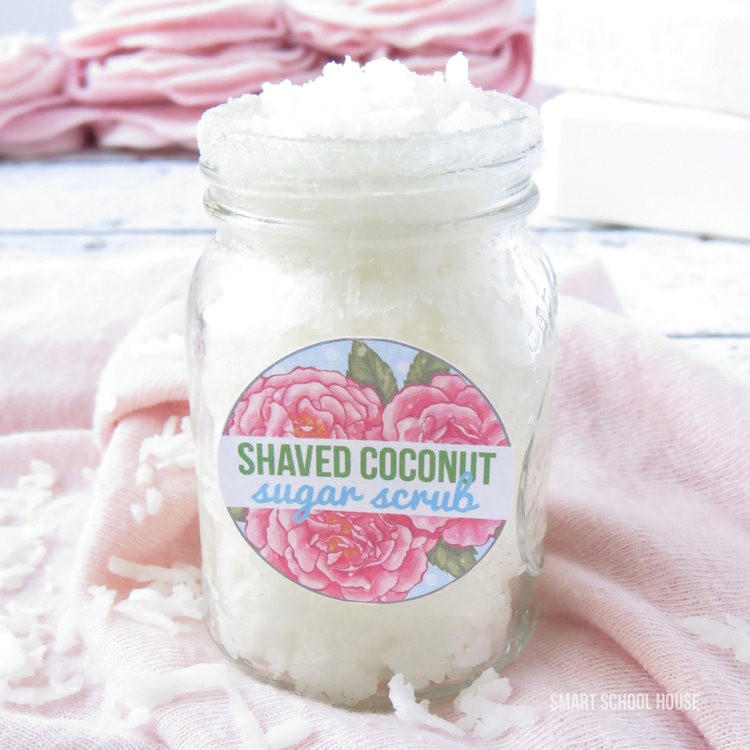 The shaved coconut and the sugar both gently exfoliate, making your skin brighter and smoother. Getting rid of dry and dull skin never looked, felt, and smelled so beautiful! Body safe vanilla fragrance oil. I buy mine HERE and it smells divine! Jojoba oil like THIS ONE that I always use. Adorable jars- THESE are the ones I used in my photos.